Any serious discussion about music in Chicago cannot take place without the mention of Joe Shanahan. At 58, he is the owner of both Metro and Smart Bar, along with being co-owner of Double Door and the Daily Bar and Grill. But it’s Metro and Smart Bar that have cemented Shanahan, along with maybe only Steve Albini, as possibly the most influential music man in Chicago since Phil and Leonard Chess. For the last three decades, Shanahan has championed, tutored and showcased bands like the Smashing Pumpkins, R.E.M., Nirvana, Sinead O’Connor, Moby, Sonic Youth, Urge Overkill, Liz Phair, The Foo Fighters and countless others at Metro. And while Metro focused on punk and rock acts, downstairs at his other club, Smart Bar, Shanahan’s equal passion — House music, has been featured since the beginning. 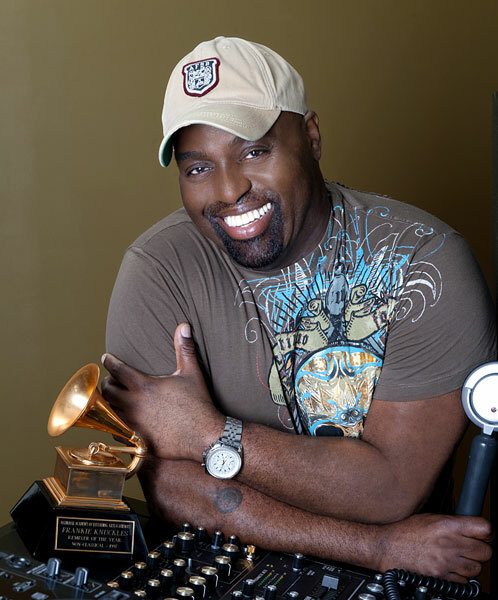 The first DJ to play Smart Bar was Shanahan’s friend and mentor Frankie Knuckles, considered to be one of, if not the sole originator of House music. Shanahan first became friends with Knuckles a few years before the 1982 opening of Metro and Smart Bar at the Warehouse, the legendary venue at 206 S. Jefferson St. where many argue House music was invented. Owned by Robert Williams, the Warehouse brought together people from all walks of life to dance all night to the pioneering sounds of its musical director, Frankie Knuckles. For the last few years, ideas about making a movie about the Warehouse has been talked about, mostly led by Knuckles’ friend and attorney Randy Crumpton. Knuckles passed away in 2014 from complications of diabetes, but the idea for the movie has only picked up steam since then: Crumpton recently got native Chicago producer Robert Teitel, club and restaurant entrepreneur Billy Dec and Shanahan all to agree to co-produce the film with him. The Chicago Ambassador recently chatted with Shanahan about the Warehouse film, Frankie Knuckles, the Metro and his own health, which has been widely reported on over the last couple years. CA) Right now, you and Bob Teitel, Randy Crumpton and Billy Dec are producing “The Warehouse,” the story of Frankie Knuckes and House music. Who approached you about the project? SHANAHAN) Let me get to the root of the film idea. One, the film that is being developed is the story of the Warehouse. Within that story, you can’t separate the Warehouse from Frankie Knuckles. You can’t separate the Warehouse from Robert Williams. The two gentleman — the DJ Frankie and the promoter and partner Robert. Robert and Frankie did this project together. Robert basically… I wouldn’t use the word ‘lured,’ but he certainly invited Frankie to come to Chicago to head up a club that he was starting. An after-hours, music driven, underground venue. Just taking that story and the history of that, that interested me immediately. I find that entire subject matter so compelling because it influenced me to do Metro and Smart Bar, specifically Smart Bar. So being a a devotee of the Warehouse and then meeting and becoming friends with Frankie was one of the most impressionable moments of my life. I knew I was seeing something that wasn’t happening in the mainstream. I knew it was something organic. As my friend, producer Arthur Baker pointed out to me, ‘House music was disco on a budget.’ This was clearly something so similar to punk rock. While I vacillated and revolved around the punk rock world in Chicago, simultaneously I was revolving around the early and young House music scene in Chicago as well. There was nothing like it. You think about the discos around town (at the time), the Top 40 type discos. That music did not appeal to me, it did not resonate with me, just as Top 40 rock — the Journey’s and the REO Speedwagon’s of the world, that music repulsed me. I was into The Clash and The Ramones and conversely, I was into the sort of stripped down version of disco that Frankie was the maestro of. They call him the Godfather of House. I refer to him as the Frank Lloyd Wright because he was the architect. He was doing something very unique and very special. CA) The idea for the film started a few years ago, before Frankie Knuckles died. Has the story concept changed since his passing? SHANAHAN) No, not really. There was talk about doing the Warehouse project before Frankie passed with some of these same gentleman. Randy Crumpton was at Sundance a few years ago shopping the idea, which is a feature film about the Warehouse. That’s what this project is. Many think it’s a documentary about House music or The Frankie Knuckles story. It’s not. While it’s part and parcel to that, it’s the story of this legendary venue. CA) How far along is the project? SHANAHAN) We are still looking for a writer, we’re still looking for the right person. Bob Teitel has a few ideas through his world in Los Angeles and Hollywood. I think Randy Crumpton has a few ideas. That’s going to be the tricky part, finding the right writer who can tell this story in the right way. Some of these projects go a little sideways…Studio 54 with Mike Myers comes to mind. CA) You have said that you considered Knuckles a mentor. What was it about him that appealed to you the most? SHANAHAN) His genuine kindness. His genuine enthusiasm for records. This goes back to the early days. I was a record collector. I went shopping for records probably two to three days a week. Frankie had an unbelievable collection of music, everything from great African rhythms to Gospel and Soul and R&B and disco that he would play. It was always a journey of sound to listen to him. He’d spin for four or five hours at a time. We were all like sound merchants, we weren’t looking for anything that was played in the mainstream. Frankie played outside the mainstream and he was generous. He was generous to me as a young entrepreneurial spirit. SHANAHAN) When I opened Smart Bar in 1982, my first phone call was to Frankie. I asked him, ‘Would you open my club?’ He accepted. He said, ‘I don’t know if my crowd is going to come up to the North Side,’ considering the fact that at this point, the city was more divided. I said ‘You’d be surprised, I think it’s bigger than that. I’ll bring my crowd, you bring your crowd and I think our crowds will get along very well.’ It was really great hybrid of black, white, gay, straight… He was able to play records at Smart Bar that maybe he wasn’t playing at the Warehouse on a regular basis. He could play ESG and The Clash and The Police and stuff he liked. He’d remix. He stripped down The Clash and put a vocal of Martin Luther King Jr. on top of it and that was a track at one of his parties. I wanted that sound to be part of our opening. CA) You studied design, photography and sculpture at Southern Illinois University and then Columbia College, but a lot of people associate you with only music. You have a love and appreciate for all types of art. Any plans to get back to that to other art besides music? SHANAHAN) I still use a camera. I still shoot photographs anywhere I go. Photography is still a big part of my life. I’ve always wanted to do a photo gallery, so if the stars were ever aligned, that would be something I’d love to have happen. On the painting side, I love the gallery scene here in Chicago and attend a lot of openings. SHANAHAN) No, I don’t. I haven’t painted since college but photography has stayed with me. CA) Chris and Mike Schuba just sold Schubas and Lincoln Hall this week. Have you had offers or considered selling the Metro? SHANAHAN) The Metro is part of me. Mike and Chris, they had their reasons to do what they did. I think Shubas has been there for 25 years. Metro will celebrate it’s 33rd year this year. It’s a little different because my enthusiasm for the local, regional scene is still very much part of what I do. I am a partner at the Double Door so there’s a smaller venue and a larger venue component to my everyday world. I really like what I do. It’s that old adage ‘do what you do and you’ll never work a day in your life.’ I wake up, I go to that beautiful building on Clark street. I have the most amazing staff and colleagues. I have a very unique position in life so no, the Metro is not for sale. CA) You’ve attended most of the shows at Metro over the years, staring with the first show which featured a then-unknown band called R.E.M. Are there a couple that stand out over the years with you for rowdiness — any that challenged your security guys? SHANAHAN) (laughs) It’s funny that you say that because recently there is this great television show that’s being done here in Chciago, “Chicago Fire.” In a recent episode there was a scene with a call into the fire station and it was “there’s a big rowdy concert at Metro, we gotta get over there” and my phone blew up, people texting and emailing me telling me ‘you’re on this television show.’ It’s pretty funny, 30 years ago Wrigleyville or Lakeview was the DMZ, there were no million dollar homes and condos around Wrigley Field. The Cubs barely fielded 10,000 people for a game. It was a pretty quiet neighborhood, it wasn’t like it is now. I think of all the early metal and punk rock shows that we would do, everything from Naked Raygun to Metallica. We were part of something edgy, a not-quite mainstream venue where people would let their hair down and have fun and yes, get rowdy. Today, some of the hip-hop acts we host have that urban edge that parents don’t understand and say ‘oh, it’s bad.’ It’s what the youth of America is listening to. It’s the language that a 50-year-old white male may not understand but his 16-year-old son may say ‘that’s talking to me.’ If you think about it, it’s not too different than when the Beatles and the (Rolling) Stones were starting. It wasn’t your father’s music but it’s not supposed to be. It’s supposed to have a youthful edge. I think that our company is into that edge. We aren’t looking for the next Sam Smith so to speak, we aren’t looking for the next American Idol. That’s not the world that we operate in. We are trying to find something like the new Alt-J, or Chance the Rapper. I don’t look at him (Chance the Rapper) as a local artist, but he’s born and bred in Chicago. His first shows were at Metro and he was electric the first time that he walked on stage. CA) You talked about the youthful edge, but you’re 58. Is it a challenge to find the fresh thing? SHANAHAN) I’ve got the best A&R team in the world. I have a 17-year-old son and a 19-year-old daughter. Family knows, believe me. We went to the Coachella Music Festival and my daughter was dragging me to come see some DJ from England and my son wanted to see some hip-hop thing. That’s what it’s about. Parents need to keep their ears open and not close it down and think the only music that’s good is R.E.M. or the Beatles. Open it up a little and you’ll see that the world has a beautiful music landscape and there is so much to enjoy out there. CA) Are you still getting treatment for cancer, what’s the latest on that? SHANAHAN) My treatment with my great team of doctors at the University of Chicago has been successful. We don’t use the word ‘cured,’ we don’t use the word ‘remission.’ We say ‘it’s been successful’ and I am currently not having any radiation therapy. I am continuing to live a healthy lifestyle and still being tested to make sure the tongue and throat cancer that I had does not re-present itself. So, God willing, I’ll be here for a long time, up in the balcony at Metro watching some young band pound out a new song. I did not know that about Joe, meaning the photography and art. I do know that he knows rock and roll and God bless him for that. Back in the late 90’s and early 2000’s a band would play Metro on Saturday night and the very next Saturday they would be the musical guest on Saturday Night Live. My point is Joe didn’t do it all by himself, he had a great supporting staff.